Many water bottles today look not that much different from the water bottles of 30 or 40 years ago. They have a pull-up valve, a cap and a bottle. Not much to write home about. It’s a simple but effective solution for delivering water to your mouth while riding. But can it be improved? 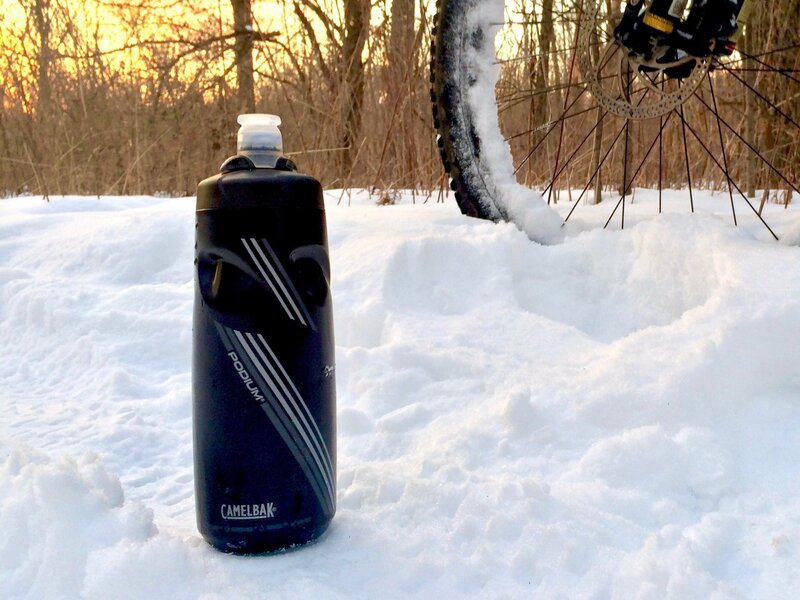 The Camelbak Podium bottle attempts to take on some of the shortcomings of regular water bottle designs to build a better water bottle. I’ll give you my take on how well it has tackled this task in this review. The Jet Valve™ is also designed to be removable. A simple twist and tug pulls it off for cleaning. This in comparison with a regular water bottle whose valve is usually integrated. In addition to the Jet Valve™ there is an additional locking valve that functions with a twisting motion. This valve is a hard lock and no amount of squeezing will release water when the bottle is in the locked position. 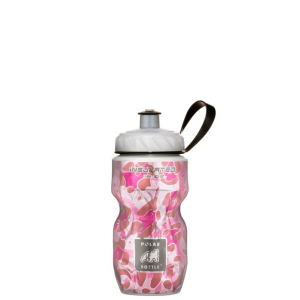 The bottle itself is made of very similar materials to other water bottles on the market. Squeezing it is easy and the top seems solid and threads on nicely. In use, the Camelbak Podium has been great. It seems to have less plastic taste than some water bottles that I have had. I love the Jet Valve. Being able to simply squeeze the bottle and get a nice even flow of water is awesome. The jet valve works great and I haven’t had it leak on me at all, even on bumpy mountain bike rides. Removable Jet Valve for easy cleaning. The secondary valve is my one complaint with this bottle. Being a twist lock means that it is just about impossible to operate one handed. I will often twist to lock the valve when I throw the bottle in my car or my backpack before hitting the trails. If I forget to unlock the valve before I set off, I have to completely stop my bike usually in order to get the valve unlocked. There’s nothing more disappointing than squeezing a water bottle and having water fail to come out. This I think is the one way that a traditional water bottle still has an upper edge on Camelbaks design. The push/pull valve of most water bottles can be operated with your teeth making one-handed opening much easier. That being said, if the secondary valve is left open, the Camelbak Podiums Jet Valve is hard to beat. Camelbak Podium 24oz bottles can usually be found for about $10. 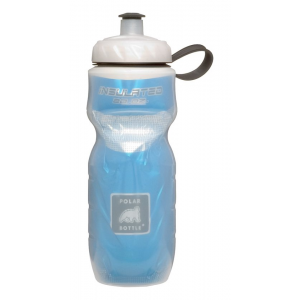 They also come in a variety of colors making it easy to match your bottle to your bike or kit. If you’ve found traditional water bottles not to your liking, I’d recommend giving the Camelback Podium a try.